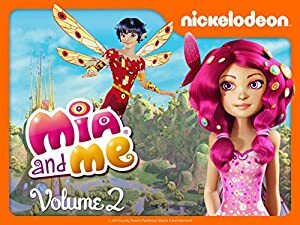 Mia and Me – Season 3 (2017) – What's New on Netflix Canada Today! Mia used to read about the land of Centopia in an ancient book of myths. Now, thanks to a high-tech portal designed by her father, she finds herself hurled into this wondrous world of elves, unicorns and pans. But the once idyllic kingdom is embroiled in conflict. The evil Queen Panthea seeks to capture the unicorns and harness their power to keep herself young. The valiant elves, led by noble Prince Mo and daring warrior Yuko, fight to stop her. And thanks to her unique ability to communicate with unicorns, Mia must personally safeguard the golden-horned Onchao. As she bounces between trying to fit in at her new school and her life as an elf, Mia must uncover skills she didn’t know she had, in her struggle to prevent this incredible world from being consumed by Panthea’s evil power.